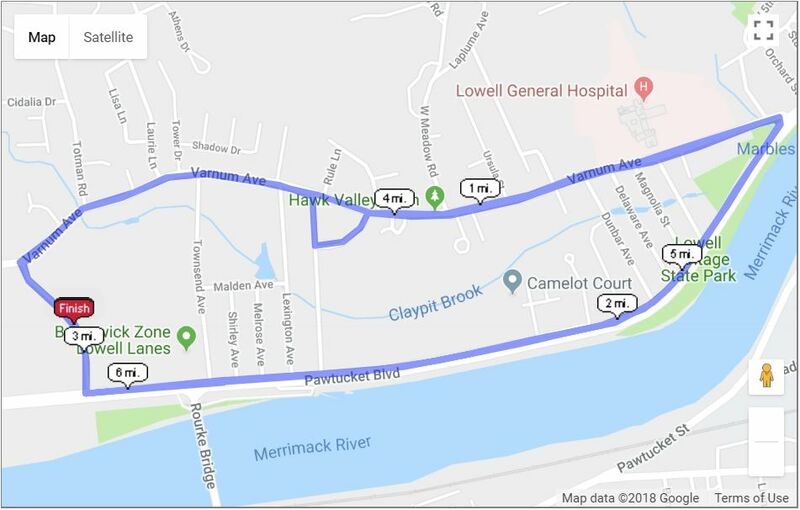 The First Run 5K/10K starts at 11 a.m. on January 1st with a mass start for both races in front of the Lowell Elks Lodge. Click a section below for more details! The 5K and 10K BOTH start together at 11:00 a.m. The course is mostly flat as it winds through the quaint neighborhood of Pawtucketville. We’ll have traffic control at major intersections, mile markers, water stops, and emergency vehicles on standby. Check out the course maps and video preview below to get an idea of what the run will be like! There’s no better way to finish a brisk morning run than with an awesome after-party featuring hot pizza, holiday treats, bananas, and plenty of beer! The best part? It’s included with your registration! So join us and your fellow runners at the Lowell Elks Lodge to celebrate the first run of the year! NOTICE: Set your GPS to 1001 Pawtucket Blvd., Lowell Ma. This is the approved lot reserved for your convenience. It is a short 5 minute walk to the Elks Lodge. Note: There is no participant parking at The Elks Lodge! Packet pickup will be held in the Elks Lodge in Lowell, MA on the morning of the race from 9 a.m. to 10:45 a.m. where you’ll receive your bib, Race-Hat, and gloves. You’ll get your medals at the Finish, as always. Hats and gloves won’t be mailed out after the event if you don’t pick yours up, so don’t oversleep! Please arrive no later than 9:45 a.m. to ensure you have enough time to park, check-in, and stretch before the 11 a.m. start. There’s plenty of free parking at the 1001 Pawtucket Blvd. 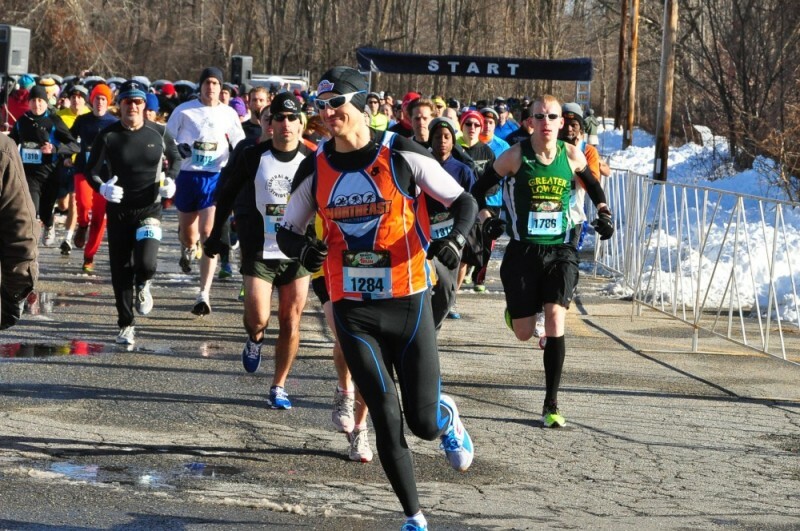 We’ll post the results of the race and photos here following the event, so be sure to check back after you run! For both the 5K and 10K, awards will be given to the top three male & female runners in each age group: 0-19, 20-29, 30-39, 40-49, 50-59, 60-69, 70+. Please pick up your award at the Awards Table inside the lodge following the race. Awards will not be mailed out! Reserve your spot today at the First Run 5K/10K! © 2018- Loco Sports, LLC. All rights reserved.